PaBIA has been advised that the investigators dealing with the cause of PAR33 fire north of us have retracted their initial conclusion as to how the fire began, and that it is under further investigation. This fire, which has caused much destruction and devastation to so many involved, is also the cause for all the smoke we experienced last Wednesday afternoon (see above) due to the wind direction. We understand that the fire has grown to over 11,250 hectares (25,000 acres) since July 18th and is still not under control. The other day the Marine Patrol were out with the BRITT Coast Guard. 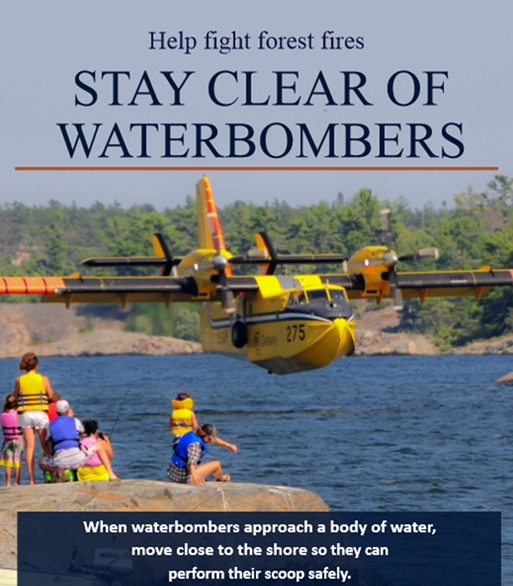 They informed us that there is potential for waterbombers to come into our area of the bay because of the Parry Sound 33 fire. If you see them, please move out of the waterways as soon as possible to allow them to pick up water. Thank you for your continued support to help end the fire. John McMullen, President of the GBA, said on behalf of the Georgian Bay Association and all its members, “I want the KRAA and Key River community to know that you have been very much in our thoughts these past weeks. Our deepest sympathies go to those who have lost properties, and to the community as a whole for this senseless loss to flora and fauna. Please be assured that the GBA ‎has been working behind the scenes, helping KRAA to deal with the current situation and addressing future considerations. Details will be following shortly. The current status of the fire is that it has grown to 11,362 hectares and is still classified as “not under control”. Please let your members know that, if they would like to help the Key River community recover from this disaster, then they can do so by providing donations. 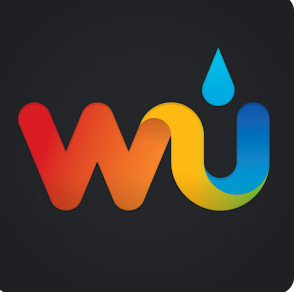 This Go Fund Me site also contains many pictures and further details of the fire. A fire in PaB on Railroad Lane just south of the station was extinguished shortly after it started yesterday afternoon due to the quick response of local folk and a water bomber that responded quickly to the emergency. It is a good reminder to BE CAREFUL OUT THERE! For those of you who were unable to attend PaBIA’s AGM meeting on Sunday, Tom Scoon, our President, shared the fact that this October is the next Municipal Elections here in the Township that will elect our councillors for the next four years. He reminded everyone eligible to vote that it is each person’s responsibility to vote for your own choice. Ian MacLeod also explained who can and cannot vote. You must be on the Voters List to vote. If you are on or get included on the Voters List, you may vote in the Archipelago Election but only in the Ward where your property is located (whether you own or rent). If you are not on the list, you must contact Maryann Weaver and file an Application to Amend the Voters List and take it in person to Maryann at the Township office in Parry Sound with valid ID. If the property is owned by a Corporation or a Trust, neither of those entities can vote. If the Corporation or Trust has tenants, the tenants could vote if they are on the Voters List. Each property owner should receive, by mid August, their voter PIN number in the postal mail at their primary residence that MUST be used when voting. Voting can be done either by telephone or online between October 9 – Election Day, October 22! Whether or not the spouse has his/her individual pin number included is of another matter and should be checked by emailing Maryann Weaver at the township office. Each person and/or their spouse or tenant whose main residence in elsewhere in Canada but is also a property owner in the Township IS eligible to vote. In other words, you can vote in both locales. However, your children who may reside with you at your primary residence (and thereby able to vote in your main residence elections) but also spend time with you at the cottage are NOT eligible to vote. Must be registered at the Township to vote. Each person MUST be registered in the Township Office in Parry Sound. If you are uncertain, please call or email Maryann Weaver at the Township to verify whether or not you are already registered or still need to register. ﻿If not a registered voter in the Township of the Archipelago, to vote the person must fill out an Application to Amend Voters List Form EL15 and, along with proof of identity, present it IN PERSON to the Township office. I wanted to follow up on the Election comments made by me at the AGM. The election this year offers multiple candidates running for Councillor in the Township of the Archipelago. This gives all eligible voters an opportunity to support candidates whom they think best represent their views. As voters, we should welcome the choice and please remember to vote! Two valuable PaBIA Board Members, Scott Sheard and Earl Manners decided to run in mid to late July and, in an effort to avoid conflict of interest or appearance of conflict, decided to resign from the Board of PaBIA. A third valuable Board member, Dave Sharpe, has decided to help Scott and Earl in their campaign and has also resigned for the same reasons. The Board supported these resignations. PaBIA did not ask Scott and Earl to run and has not endorsed them. 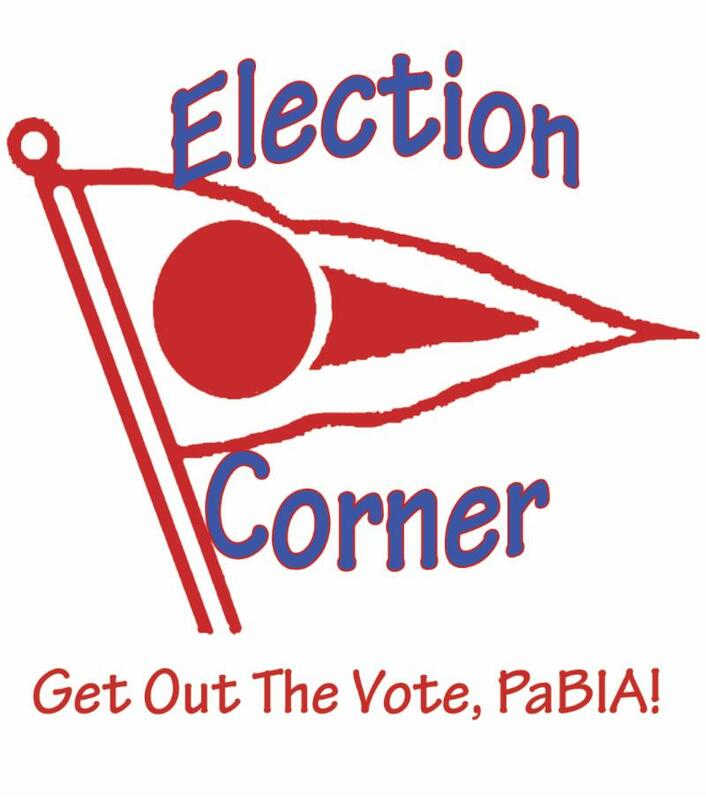 Nor has PaBIA endorsed incumbents Gary French or Ken Williams. We have not endorsed Laurie Emery in Ward 1 or incumbents Tom Lundy or Greg Andrews. PaBIA is not in the electioneering business, but we are in the information and communications business. A request was made at the AGM that the PaBIA Board consider holding an all candidates meeting. After much discussion, the Board has decided not to sponsor such an event. Apart from not having the resources or expertise to hold such an event, we decided that it is clearly a political event that ought to be organized by others or by the Candidates and their campaigns and not by PaBIA. Good luck to all candidates and thanks for running. 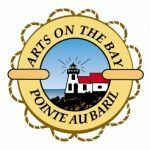 ARTS ON THE BAY Tonight! DEJA VU – August 8 @ 6:15 p.m.
We are having Deja Vu all over again! The group will have a combination show of Rock and Roll and Western. They can do it all! With very dynamic energy, fun, and dancing in aisle tunes. We promised you we would have them return with their talented singers and delightful music ability. So here they are! Sisi Started It will show a real diversity of healthy cream, lotions and potions with some really interesting and beautiful displays. Friday – Everyone is invited! 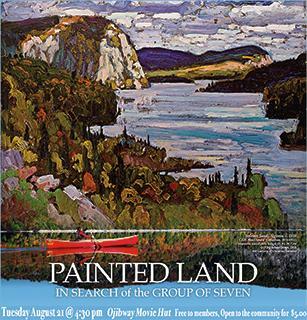 xxxArt Show 10:00 a.m. – 4:00 p.m.
at The Pointe au Baril Nursing Station. Coffee, tea, canapés and fruit will be served. Join us for an informal afternoon as we learn from one of Canada’s leading bird researchers about the latest efforts to track and understand bird migration. Light refreshments will be served. RSVP to Janet Brough and to receive location details. 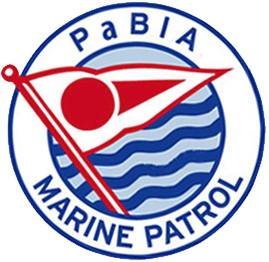 PaBIA Sailing: Saturday August 11th @ 2:00 p.m. 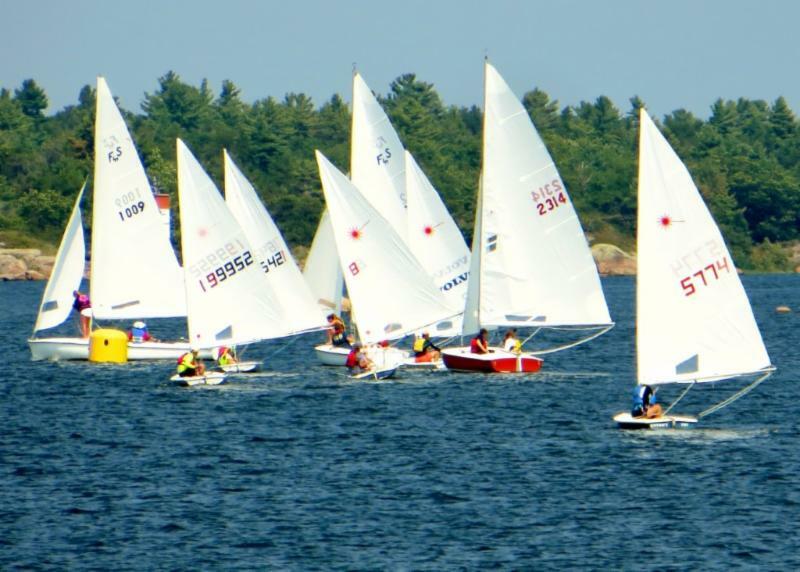 The August long weekend is always the biggest race of the sailing season and this year was no exception as warm waters and sunny skies attracted a full fleet.The Laser fleet doubled in number as boats were hauled off the beach by fair weather sailors. 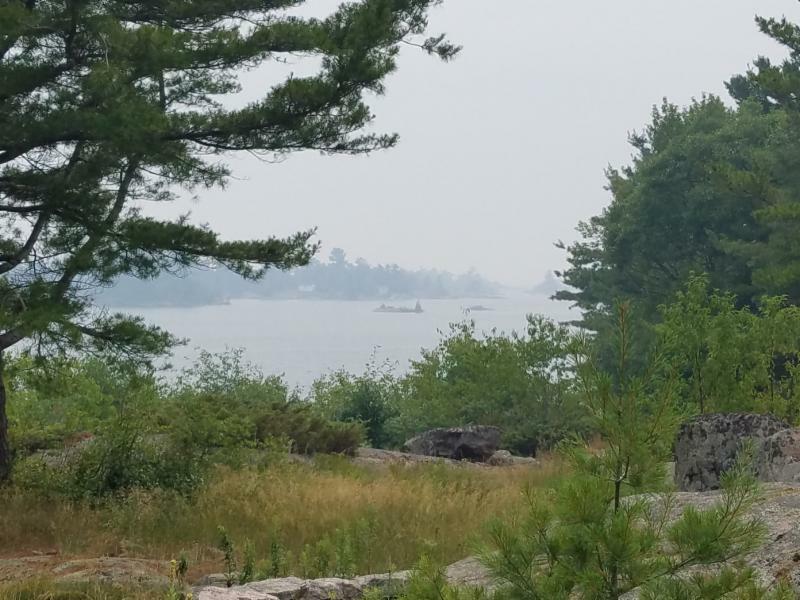 The race had been scheduled to occur in the shoals of the open Bay, but was moved to Ojibway Bay, where many boats took the opportunity under gusty wind condition to capsize in deep, placid waters. The Rendezvous was generously hosted by Jane and Bob Mosley at their flat-rock island, the perfect spot to be warmed by the sun while kept cool by the breeze off the Bay. Next week races will be held on Saturday at 2:00 and will return to Lighthouse Bay. The Rendezvous will be hosted the Hassards. 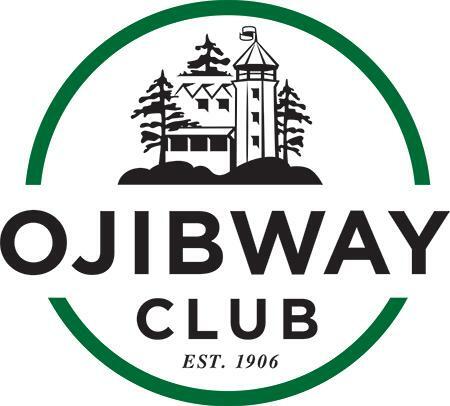 PaBAR is now 2 weekends away, so begin to firm up plans now to attend the annual dinner at the Ojibway Club. Reservations are required and the celebration is always fully attended, so delaying to the last minute is not an alternative. 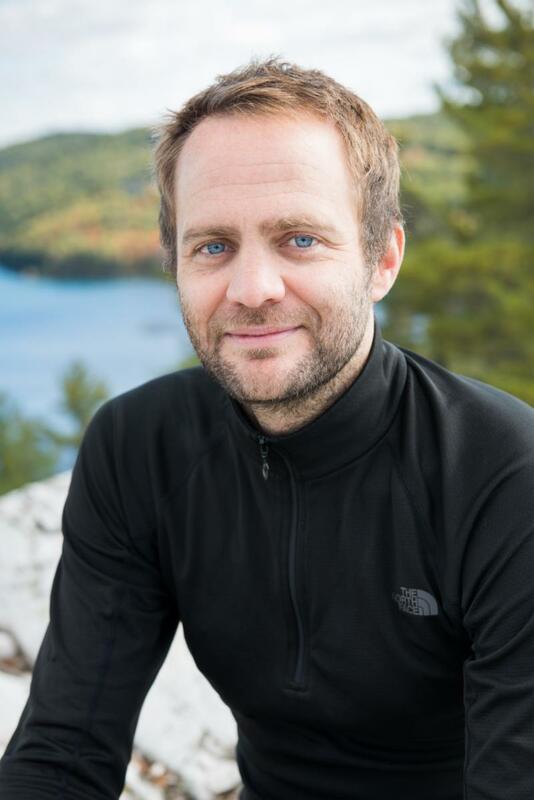 David Bywater is an Environmental Scientist with the Georgian Bay Biosphere Reserve. Based in Parry Sound, David leads on conservation programs including State of the Bay – an ecosystem health report for eastern Georgian Bay. The State of the Bay reports on 11 ecosystem health indicators, such as water quality, fish communities, wetlands, landscape biodiversity, and climate change. 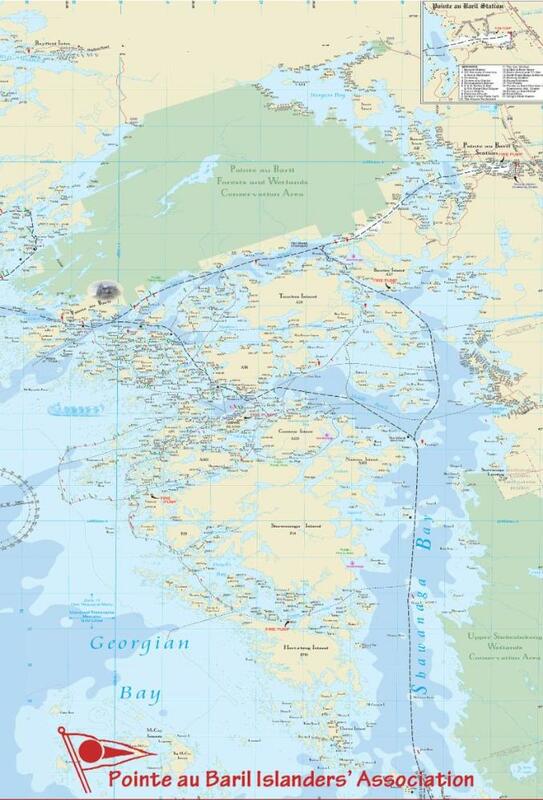 Each of the indicators in provides a summary about one aspect of Georgian Bay. They were recommended, analyzed, and reviewed by experts. 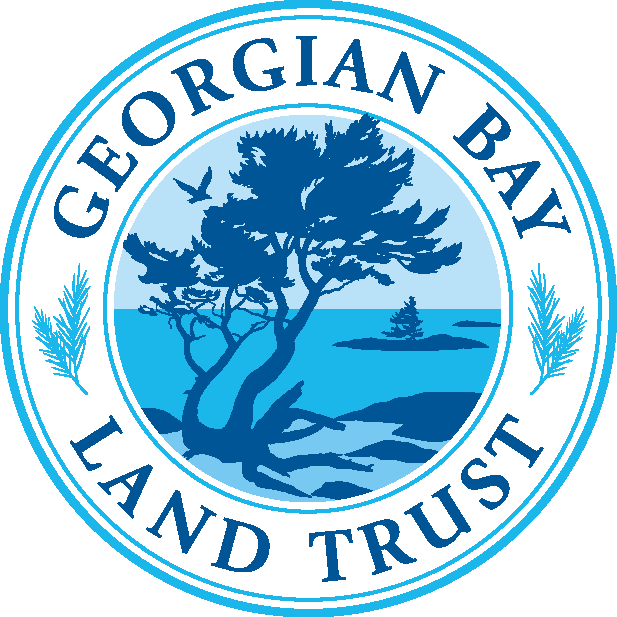 Together they provide a snapshot of the health of Georgian Bay and provide a baseline for tracking results in future years. Sunday, August 12 @ 12:30 p.m. after the PaBIA Naturalist! The Marine Patrol partnering with Georgian Bay Forever is planning invasive phragmites cuts on August 12th and August 19th and need volunteers. It’s important for the PaB community to come together and work to solve this problem that threatens every corner of the bay. If you are interested, please email the Marine Patrol NOW. To further educate ourselves, please read about everything you would want to know about this Invasive Phragmites from the Georgian Bay Forever website – from identification, to removal (when and how) and how to dispose of the plant once cut! PLEASE SIGN UP NOW TO VOLUNTEER! ‘Shovel in the Ground’ Event Monday, August 13 – 11 a.m.
Plans are underway for the Monday, August 13th, 11.00 A.M. Habitat for Humanity groundbreaking event. Please come to learn more about this community effort. Pictured are Pointe au Baril Island Maintenance (PABIM) volunteer crew members, Charlie and Jack MacLeod, installing the banner at the Habitat house site. Another banner thanking those sponsors who have already donated will be displayed for all to see at the village transfer station shortly. 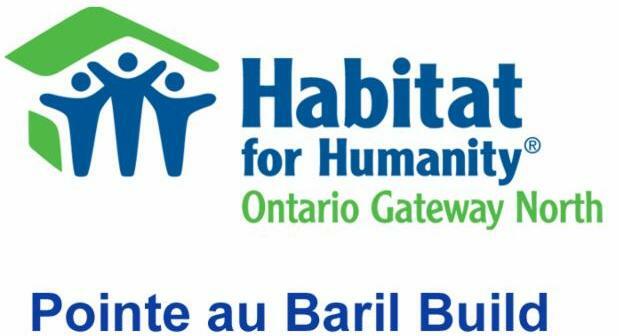 Please consider a donation now to enable the purchase of materials and services needed to start the Pointe au Baril Build. DONATE NOW! 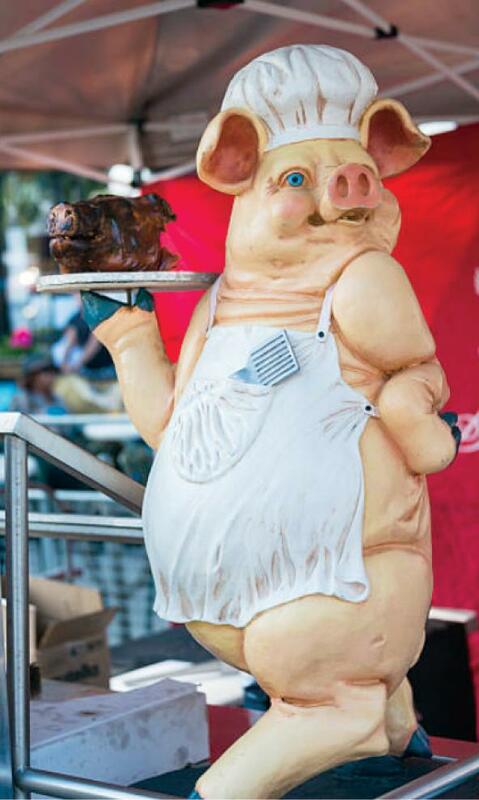 We’re excited to introduce the U35 Tennis Tournament and Pig Roast as a new event this year, offered to anyone aged 21 to 35. The tennis tournament will start at 2pm and go into the early evening, with dinner beginning at 5pm. The event costs $40 per person and is open to both Ojibway Club members and non-members so spread the word! Registration is currently open in the office. Gypsy moth egg nests have been identified in pine trees here in PaB. 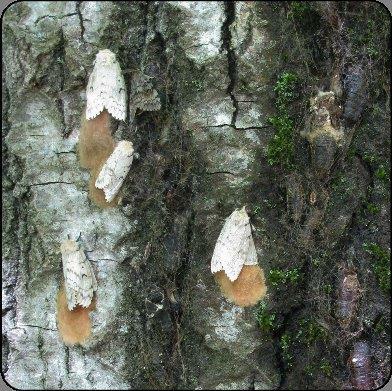 Approximately 20 to 25 gypsy moth eggs nests were being laid along the underside and within crevasses of two pines trees on an islander’s property. There were white female moths laying down light brown/tan 4 cm long egg nests each filled with 500 to 1000 eggs (left) Be on the lookout for these brownish nests…and destroy them by doing what you can to prevent an outbreak of the caterpillars next spring! Prevention is the best protection we have! The egg nests will apparently ‘mature’ over-winter before hatching next spring with the aggressive caterpillars – having a singular intent of eating all they can enroute to becoming pupae and starting the process all over again. It’s been observed that there has been a higher than normal level of moth activity at the cottage this summer. One can notice that many of these moths were male gypsy moths waiting to find their mates. Lost! Have You Seen This Dingy with a Motor? 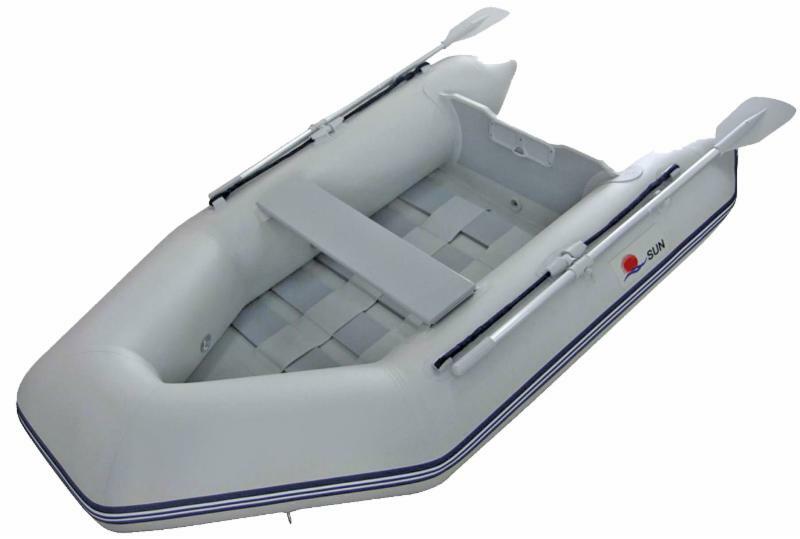 An 8 foot inflatable West Marine dingy and 4 HP Tohatsu motor was lost while being towed behind a sailboat near the Lighthouse on Thursday afternoon, August 2nd. The owner, Don Nicholson, searched for it the rest of the day, but with no success. If anyone has found it, or has information about its where it ended up, he would be most grateful to be reunited with it! Please contact Don Nicholson ASAP! Main buildings on your property are accurately marked. 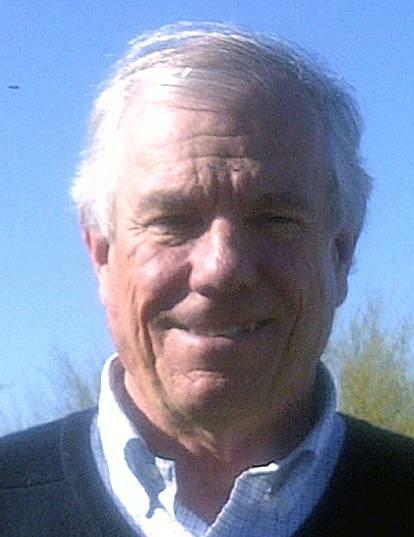 Please send to Jim Rogers any changes that are needed. Please be clear as to what is there and what needs changing. Pictures of your locale on the map with changes are appreciated! 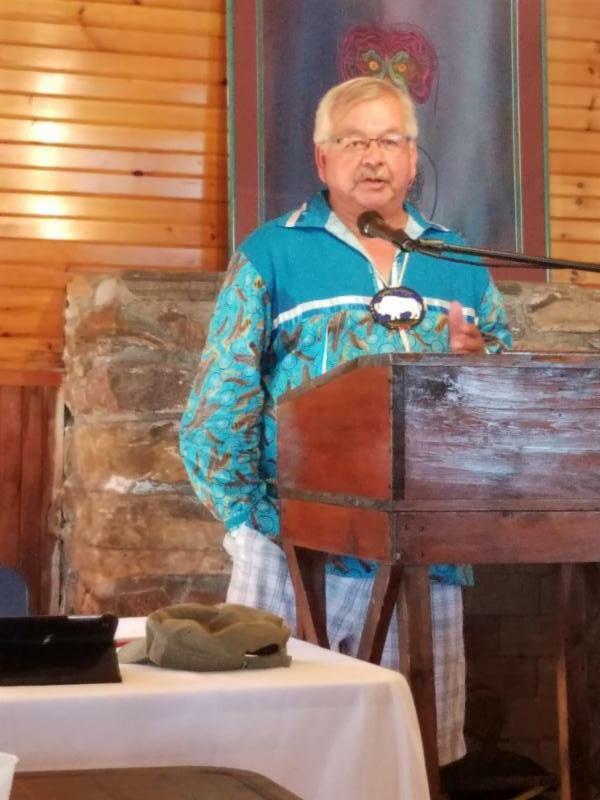 Vince Pawis and Marilyn Capreol’s presentations Sunday at the AGM were all about listening to others, protecting the land and have meaningful dialogue with and respect for one another. Thank you, Vince! Several folks have asked how they could donate to the White Buffalo Healing Lodge that Vince Pawis explained to us at the AGM last Sunday. Should you wish to contribute to his program to help young people of all nationalities not just recover but heal from the emotional trauma they incurred that drove them to use in the first place, please do so here. This rattlesnake is seen sunning itself on the rocks! (Notice the diamond shaped head and saddleback patches along its spine.) You might also encounter them in the brush and along paths. So what to do in case you come upon one? Stop – he is actually more afraid of you that you are of him! Slowly step backwards away from the snake. Most often, he will slither away into the brush away from you! So what to do if you want to be rid of the snake from your island? 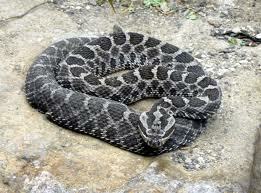 Because the Massasauga Rattlesnake is an endangered species, killing it is not allowed. Rather, you can have someone catch it and remove it from your island, but please know that because rattlesnakes are territorial, there is the chance that he will return! Rather, if you are walking along a pathway, especially one you don’t frequent often, try singing or talking which will warn him of your approach and prompt him to go the other way. If you are bitten, please follow these recommendations. Many of us love hearing the call of a loon or seeing a majestic bald eagle. These species are at the top of the food chain, relying on a healthy diet of fish. But what feeds the fish that they eat? At the bottom there are the producers, the algae and microscopic plants that use nutrients and sunlight to grow. The next level is made up of consumers, zooplankton and benthic organisms, that eat phytoplankton. Sadly, decades of research have shown that species in the lower food web of Lake Huron have all been declining. Phytoplankton levels have significantly decreased, possibly because of low nutrient levels in some offshore areas, invasions by zebra and quagga mussels, and warming water temperatures. Zooplankton have seen declines of up to 95% over the past 20 years. The population of Diporeia, a freshwater shrimp-like crustacean, and major food source for small fish, has completely collapsed today after declining since the 1990s. As a result, in 2003 and 2005, the alewife, and chinook salmon populations collapsed. Are invasive species, combined with climate change, creating a biological desert on the bottom of Georgian Bay? What will be the effects on species higher in the food web? Visit State of the Bay to learn more! 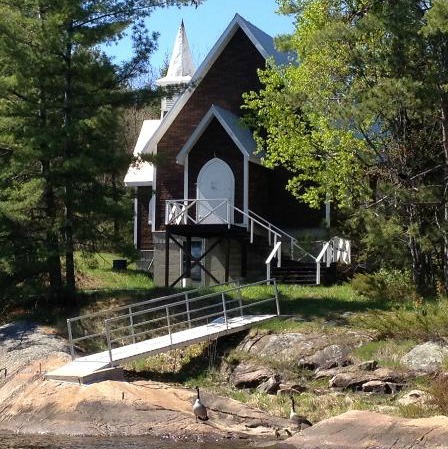 As you’re cleaning out your cottage, please remember that Florence Universal Church Ladies’ Group is having their annual rummage sale on Saturday September 22. This is their main fundraiser and all monies raised go to maintenance of the church, and to other good deeds. The Ladies are very appreciative of the ongoing support that PaBIA members have given through the years. 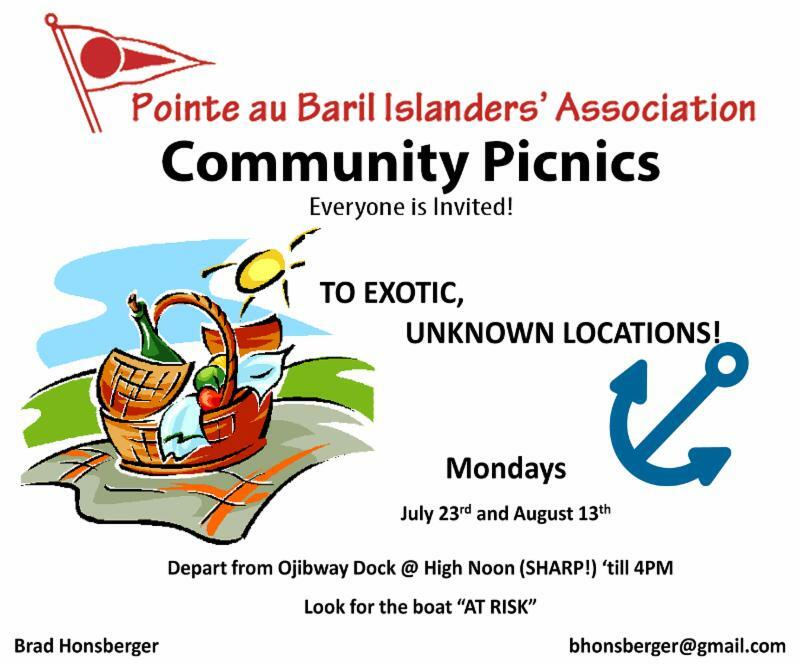 Donated items can still be left at the church, either by boat at the dock on the main channel across from Desmasdons, or by car on South Shore Road, next to North Shore Barging. And yes! they accept a wide variety of items. Volunteers routinely will check at the church and put donations inside out of the weather. Thanks so much! If questions, please email Barb Leitch!